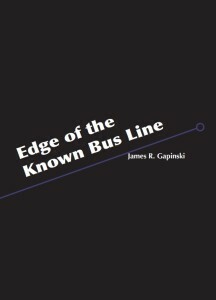 Editor Update: Pre-Orders for “Edge of the Known Bus Line” on sale now! Our managing editor, James R. Gapinski, recently won the Etchings Press novella prize. Etchings Press is run out of the University of Indianapolis. James’s new book will be released in late May. Pre-orders are on sale now. Reserve your copy from the University of Indianapolis website. This is James’s second release in 2018, with Messiah Tortoise coming out last January from Red Bird Chapbooks. Congrats on all your recent publications, James!